First Issue! 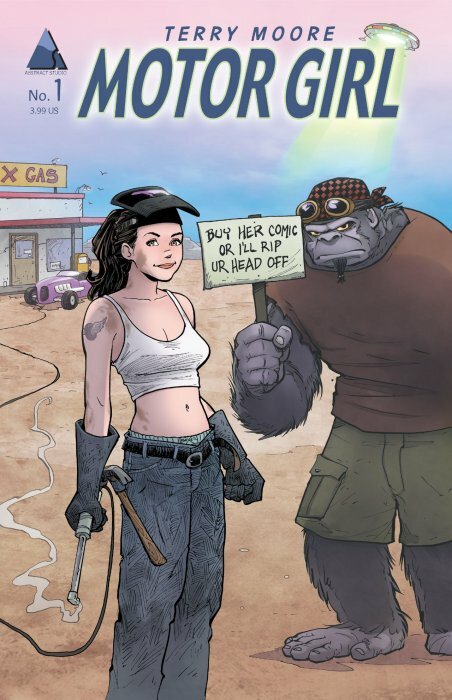 When Samantha's junkyard is visited by a UFO looking for spare parts, she is only too happy to oblige. But when word gets out she is a reliable source, Sam's booming alien business catches the attention of an Area 51 investigator determined to shut her down! Don't miss the premier issue of Terry Moore's fantastic new series!